Many families plan family vacations to casino destinations for a multitude of reasons. For starters, the family can all go to a place where each person is offered something which appeals to them in the form of rest, recreation and relaxation. Secondly, families love the multitude of dining options given at casino destination resorts. Third, the hotels are some of the grandest hotels with the most luxurious rooms the guests ever see and finally, the casino gambler in the family will likely have a large portion of the family’s entertainment comped so that the money can be spent on other important things. Mohegan Sun in Connecticut is still considered relatively new among many casino players but the casino is offering families a renewed way to travel as a family and still visit the casino. Mohegan is another casino catering to families with small children and most adults will find that their child care is the best the casino business has to offer! Las Vegas is still the king of family entertainment for casino gamblers traveling with their families. Naturally, Disney would likely be the preferred choice to visit by many young people, but Las Vegas is a strong second contender. 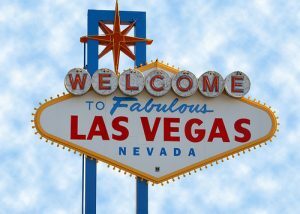 In fact, many kids are finding that once they visit Las Vegas, they do want to return. Circus Circus and MGM are just some of the fascinating places families traveling with children may want to visit but there are many street side shows on the strip that kids of all ages enjoy. The fountains at the Bellagio are an instant hit with kids and the battle seen at Treasure Island is a favorite as well. Vacationing families are in awe of the fun activities that wait in Las Vegas right on the strip. At New York, New York, the rollercoaster is a drawing point for teenagers and teenage girls love the shops not only at the New York, New York casino shops but at the various other nearby casino shops. When you are ready to sail into relaxation, remember to consider what your family wants to do as well. If you want to gamble on your once a year vacation and the family wants no part of it, then choose a cruise because the casino action is just as much a part of the daily life on the floating mega resorts as the casino resorts on land. The only difference is that the casinos on land have more square footage and due to the rising need to keep up with the competition; the rooms are likely far more extravagant. Still, cruising is better suited as a vacation for the family who has a gambler among them! However, still some of the cruises will pale in comparison to the mega-resorts of the casino destinations.